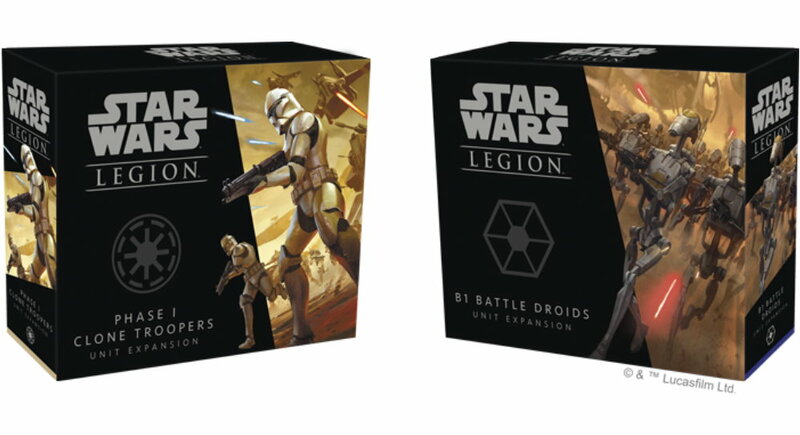 Fantasy Flight Games announces two new expansions for Star Wars: Legion, the Phase I Clone Troopers Unit Expansion and the B1 Battle Droids Unit Expansion. You can pre-order these now! 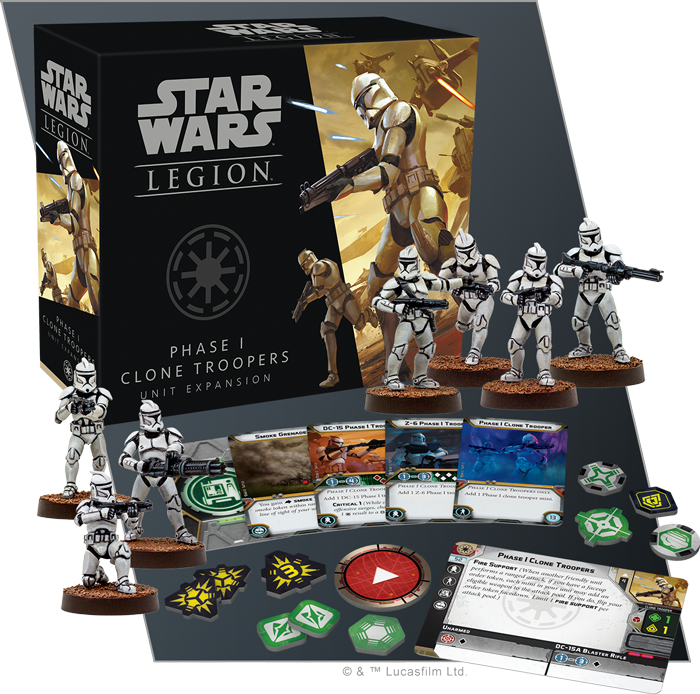 Allowing you to field additional units of Phase I Clone Troopers for the Republic and swell your swarms of Separatist B1 Battle Droids, these Unit Expansions are the perfect opportunity to round out your armies and send them into all-out conflict for the fate of the galaxy. 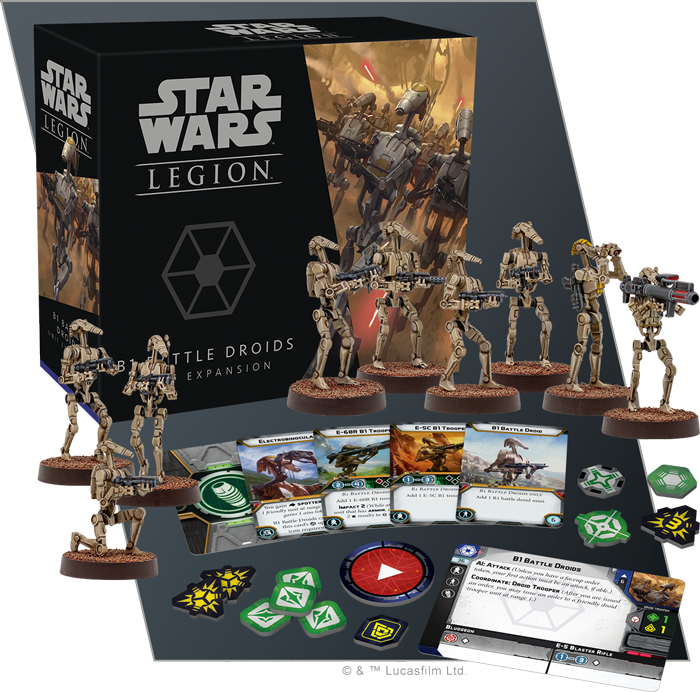 With units identical to the ones found in the Clone Wars Core Set, you can take your first steps into building the custom army you have always wanted to lead into the epic clashes of the Clone Wars.